The kitchen is the heart of the home, and it’s becoming an increasingly popular space to entertain in. For this reason, many homeowners are now looking at designing their kitchen with this function in mind. 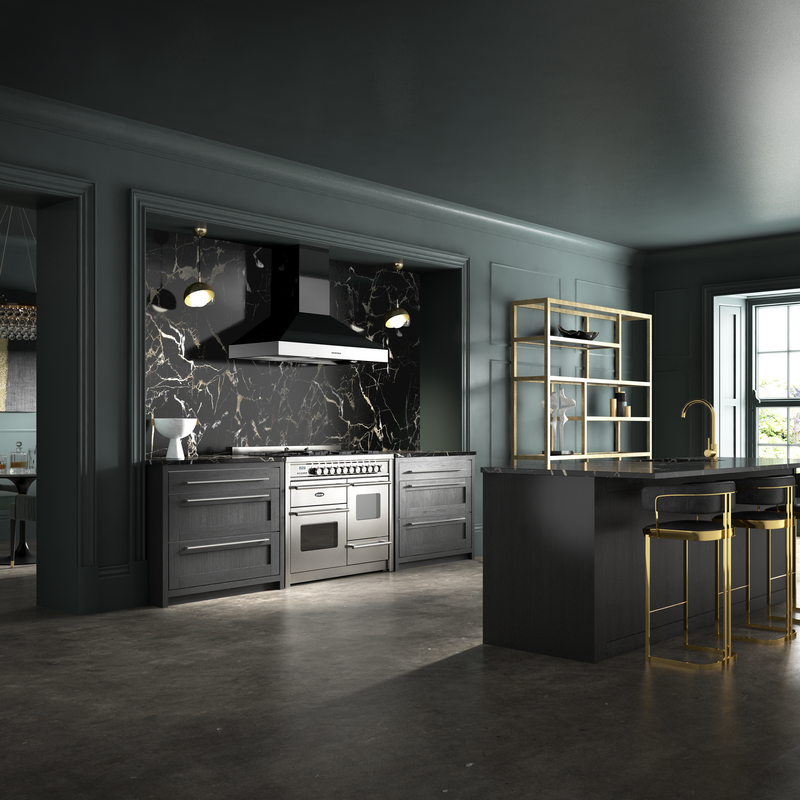 Alexandra Davies from premium kitchen appliance manufacturer Britannia is here to explain how you can create a kitchen you can socialise in and what design elements can help you to make the most of the space. As people continue to shun pubs and restaurants in favour of entertaining friends and family at home (Statista), the social kitchen is seeing a rise in popularity. This means more kitchens are being transformed into dual-purpose spaces in which you can both cook food and entertain guests. The key is for the design to offer enough comfort for guests while still providing plenty of functional utility. In this article, I’m going to explain how you can incorporate a number of design elements into your kitchen to make it more of a social space. The first step to creating a social kitchen is to open up the room and create a feeling of space. If you can connect your kitchen to another area of your home, such as the living room or dining room, you’ll instantly create a more social space. That means you can cook while also entertaining your family and friends, who will be able to sit comfortably and enjoy the evening. Opening up your home in this way isn’t for everyone, but it’s the best way to create a nice open space that everyone can enjoy. An island or breakfast bar is a great addition to your social kitchen for a number of reasons. Not only will it act as a natural boundary between your cooking space and your social space, but it will also act as somewhere for guests to sit or for you to prepare food. Modern kitchen islands come in a variety of different styles and offer plenty in terms of serving areas, prepping zones and even extendable dining tables. Couple this with some great bar stools and you’ve got a fantastic space for both the family and when entertaining. If you’re having more of a party, the island can also work as a place to lay out hors d’oeuvres. Light is a key component when it comes to creating a feeling of open space in any room, so it’s an important element to consider for your kitchen. Where possible, you want to bring in as much natural light as possible. If you’re hosting on an evening, then you’ll want to have lighting that can match the ambience of the occasion. Bright lights in the kitchen will help you see while preparing and cooking food, but adding in a dimmer can allow you to change the mood when the cooking’s over. Having a few candles on hand to dot around the room and create a warm, welcoming feel is also a great idea. The traditional kitchen design is often functional but lacks personality. If you want to turn yours into a social space, it needs to be visually striking and show off your personality. Adding some vibrant colours in the form of paint and furnishings can go a long way to achieving this. What you go for will depend on your own personality, but spend some time thinking about the colour scheme you want to bring in and build everything else around it. Other touches such as paintings, ornaments, and flowers will also help make the space more visually appealing and bring the room to life. Creating the perfect kitchen for socialising doesn’t have to be a hassle. Follow these tips and you’ll be able to turn your functional kitchen into a lively, social space.